The professor, the doctor of physical and mathematical sciences, the academician of the Academy of Sciences of the Higher Education Ukraine. Was born 2/11/1947 in village Aleksandrovka of the district Zоlochev to Kharkov region In 1969 y. Has finished with distinction the Kharkov institute of radio electronics. With 1969 on 1972 y. Post-graduate student IRE NАS of Ukraine. Since 1972 works at radiophysical faculty of the Kharkov state university. In 1973 has defend a candidate dissertation , and in 1988 - the thesis for a doctor's sience degree. Since 1990 - the professor of faculty of radiophysics of the MICROWAVE department, since 2005 - academician-secretary АN HE Ukraine, manager. 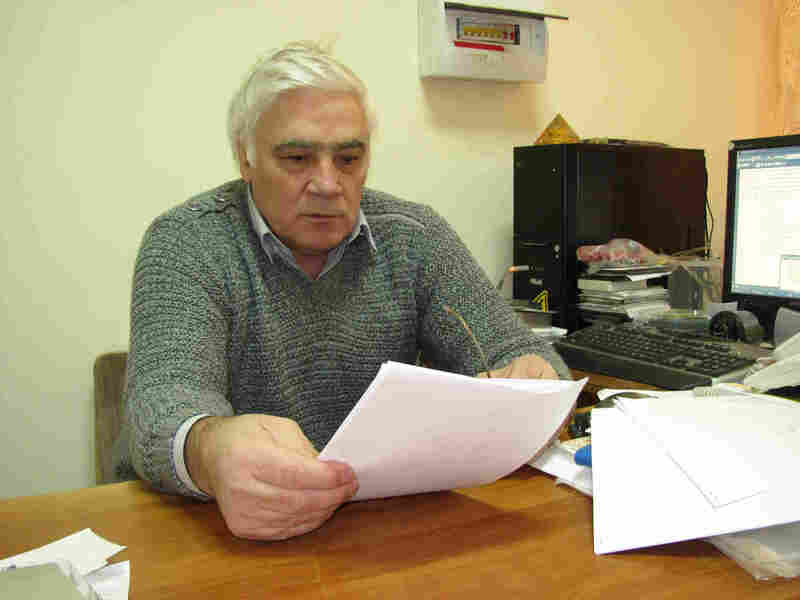 Branches « radiophysics and electronics » АS HE Ukraine, the Honorable doctor of the Sumi state university, « The Emeritus professor of the Kharkov national university ». A member of four editorial boards of scientific magazines, the participant of many scientific international conferences and symposiums. During many years reads for students of radiophysical faculty such disciplines as: « The entrance into physics millimeter and submillimeter waves », «New methods of generation and a amplifier of electromagnetic waves », « Electrodynamics and electronics of devices and devices of the microwave», «Thermodynamics», « Physics of the microwave », « Electronics of the microwave », «Techniques and electronics of devices of the microwave », « Wave processes into optoelectronics», «Physics of the extremely high frequencies», « Microwave and terahertz radiophysics ». Area of scientific interests diffraction electronics, diffraction of wave packets and signals on the multilayer isotropic and anisotropic medium, nonlinear interacting electrons with fields of periodic structures, noise and stochastic processes in nonlinear systems, the electrodynamics of resonant microwave-devices, photon crystals, plasmonics, metamaterials,etc. Has over 200 scientific works, one monograph and four educational manuals, three from which with a feel of the Ministry of Education and a science of Ukraine.